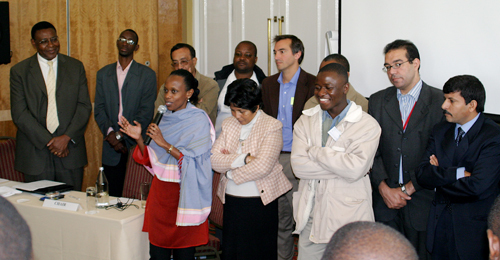 The Anglophone Africa Subregional Workshop on the Review of and Capacity Building for the Implementation of the Programme of Work on Protected Areas (the Workshop), under the Convention on Biological Diversity (CBD), convened from 13-16 August 2007, in Cape Town, South Africa. One in a series initiated in response to the request of the eighth meeting of the CBD Conference of the Parties (COP-8), the Workshop sought to review and strengthen capacity for the implementation of the Programme of Work on Protected Areas (PoWPA), and was attended by 75 participants, including government representatives from 20 countries, representatives of five non-governmental organizations and nine indigenous community representatives. 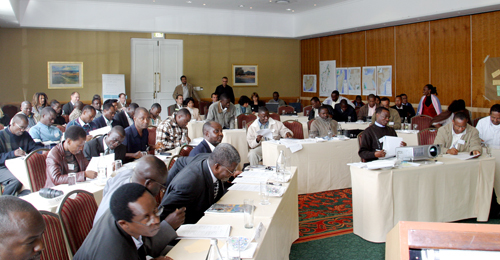 The Workshop was organized by the CBD, with financial support from the European Commission, Worldwide Fund for Nature, The Nature Conservancy, and in collaboration with the Government of South Africa, the World Commission on Protected Areas of the IUCN-World Conservation Union, Conservation International, BirdLife International, and the UN Environment Programme World Conservation Monitoring Centre. The aim of the Workshop was to review the progress on implementation of the PoWPA in the countries in Anglophone Africa and to agree on recommendations to the CBD's second meeting of the Ad Hoc Open Ended Working Group (OEWG) on Protected Areas. Issues analyzed addressed: protected area system master planning technical themes including ecological gap analysis, management effectiveness assessment and capacity action planning, and sustainable financing; as well as national and regional next steps; and recommendations from the Workshop. 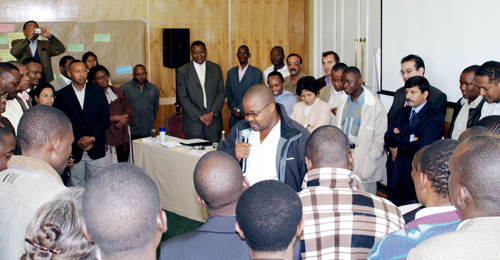 It took the format of plenary presentations, interactive exercises, and individual and country group discussions, facilitated by resource people from the supporting organizations. 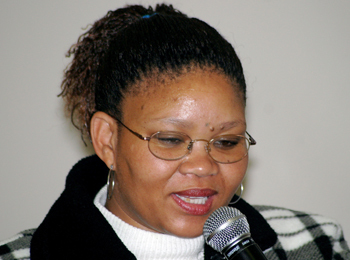 Annetta Bok, Indigenous Peoples of Africa Coordinating Committee (IPACC), made a statement and announced recommendations by indigenous peoples, local communities and traditional fisher folk. 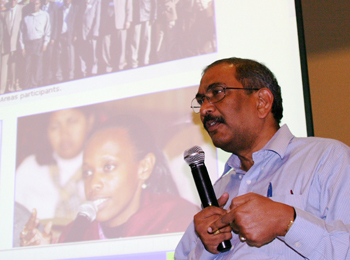 Sarat Babu Gidda, CBD Secretariat, emphasized the need to implement the PoWPA. Donovan van der Heyden, Houtbay Traditional Fishers Committee, South Africa. 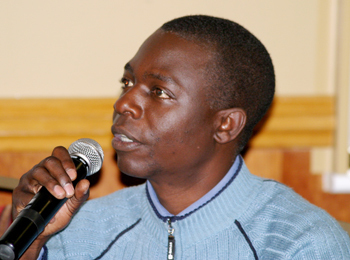 Flavian Mupemo, Technical Officer, Protected Areas Project, Zambia Wildlife Project. L-R: Jason Spensley, TNC, and Sarat Babu Gidda, CBD Secretariat discuss next steps. 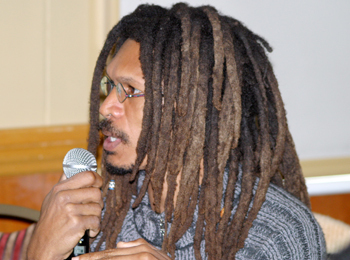 Rehabeam Erckie, Chief Warden, Etosha West, Directorate of Environmental Affairs, Namibia. Anitry Ny Aina Ratsifandrihamanana, Conservation Director, WWF Madagascar and West Indian Ocean Programme, Madagascar. Aimée Mpambara, Environmental Impact Assessment Officer, Rwanda Environment Management Authority. Your IISD Reporting Services team. 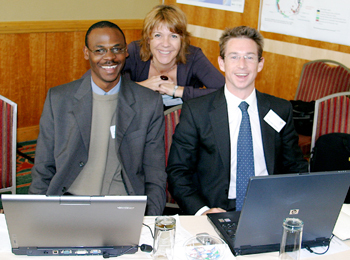 L-R: Derick Gabone, South Africa; Leonie Gordon, United Kingdom; and Harry Jonas, United Kingdom. 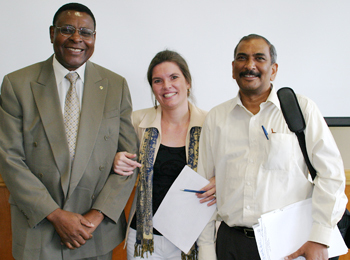 L-R: Jo Mulongoy, CBD Secretariat, Tammy Brittz, WWF, South Africa; and Sarat Babu Gidda, CBD Secretariat, celebrating the success of the Workshop. A one stop shop for tools to advance the PoWPA. IISD Reporting Services (IISD RS) coverage of the Second meeting of the CBD Ad Hoc Open-ended Working Group on Review of Implementation (WGRI 2), 9-13 July 2007, Paris, France.